Kind of familiar, but then again not, the coolest boot shape for fall is a pull-on blocky-heel number that sits low on the leg, yet curiously above the ankle. 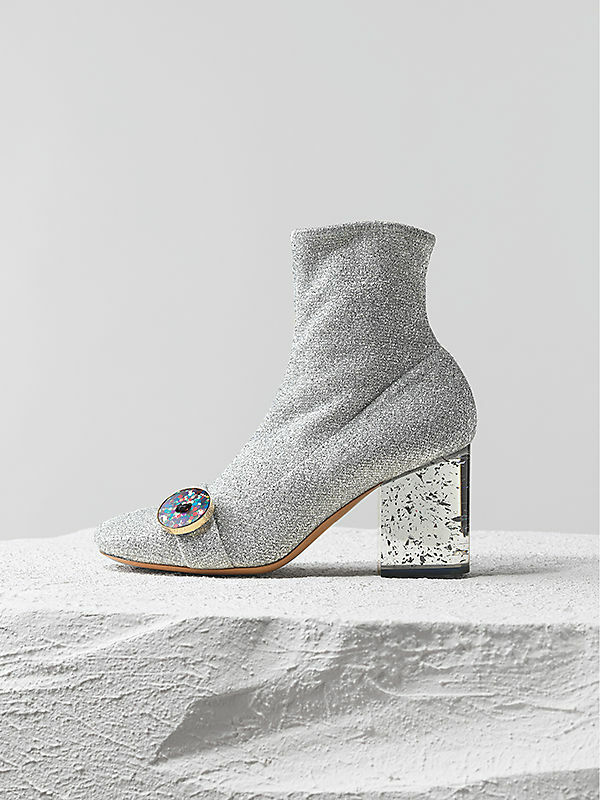 Vaguely referencing a Paco Rabanne-like low Sixties go-go, this groovy new silhouette has been readily championed by Martin Margiela as a house signature typically finished off with his cloven-hoof split tabi toes. But if that's not your scene baby, then go the glam-rock route with Celine's space age lurex knit version or Saint Laurent's psychedelic pink perfection in layers of glorious glitter. Quite shagadelic, don't you think?